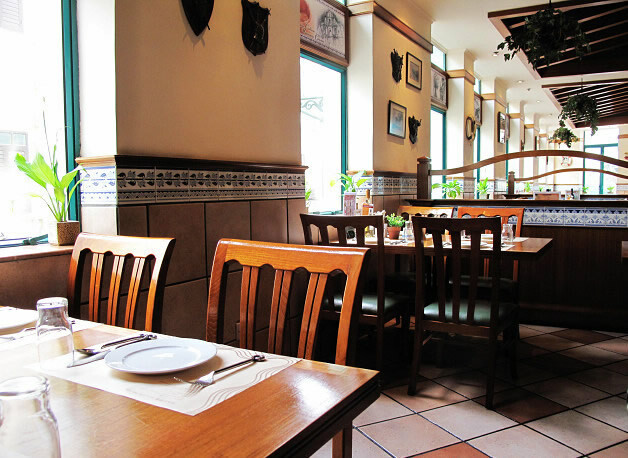 When speaking of Macau cuisine, I must mention the Portuguese cuisine. 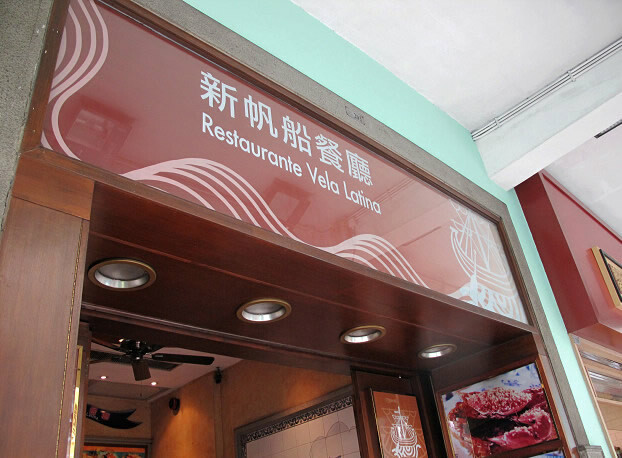 Before coming to Macau, we had planed well and decided to go to the Restaurante Vela Latina to taste its authentic Portuguese cuisine. 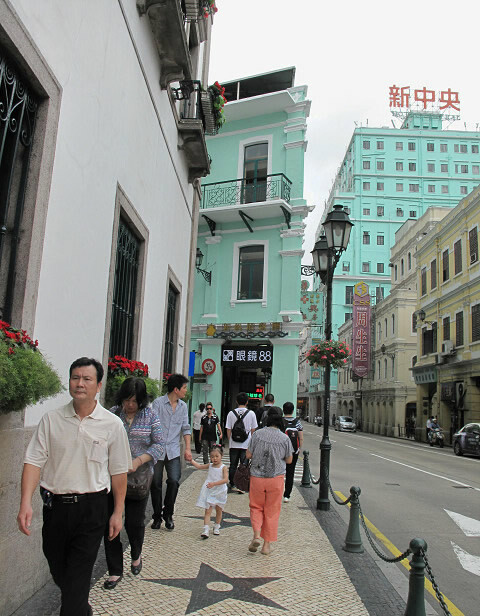 Our flight took off from Shanghai at 7:00 and arrived at Macau airport at 9:30. Then took a taxi to the Lisboa Hotel we had reserved in advance. 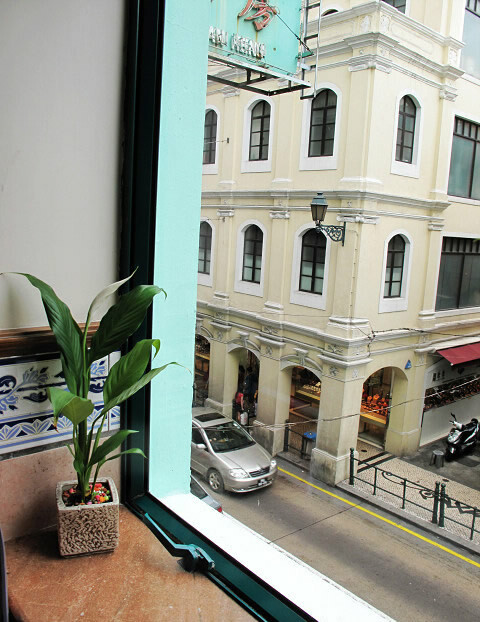 After putting away our luggage, we headed for the Restaurante Vela Latina which is located at 201 Avenida Almeida Ribeiro, Macau. 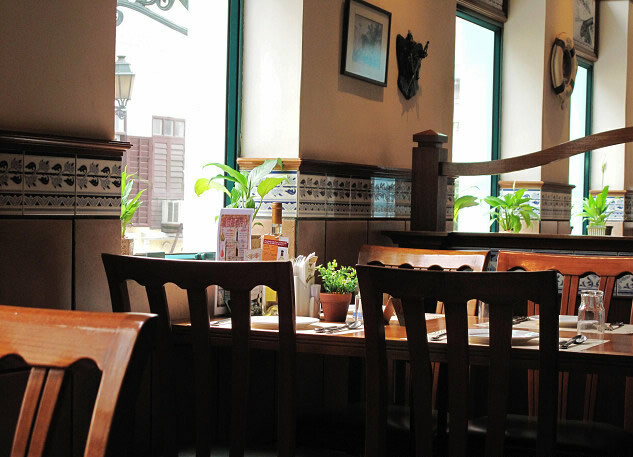 The restaurant is located opposite Senado Square Plaza, the edge of the Leal Senado, inside a light green building. 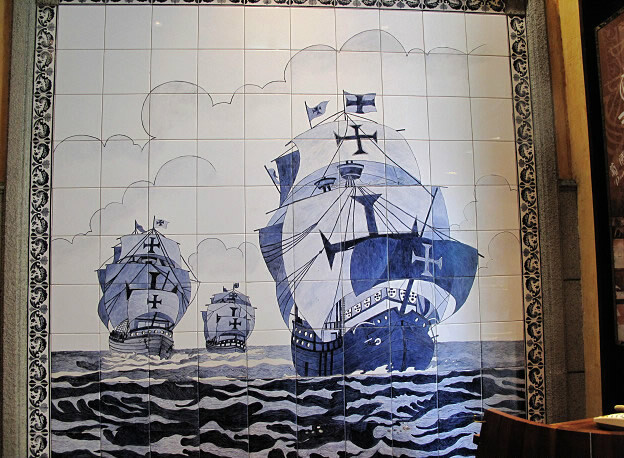 At the entrance of the restaurant, there is a tile painting of a sea voyage, reminiscent of the Age of Discovery. 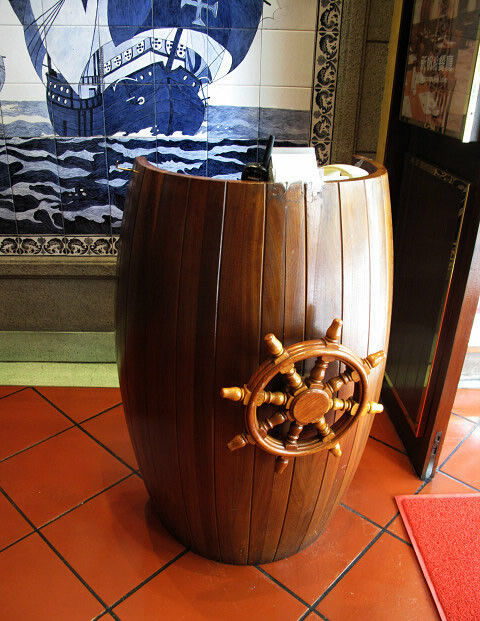 Reception table is decorated with a wheel to highlight the theme of this restaurant. 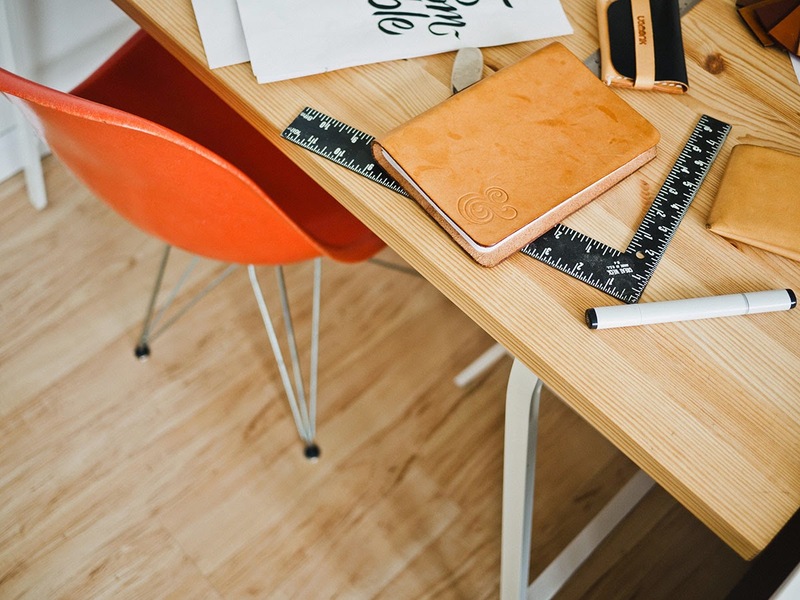 Inside furnished with simple and unique. 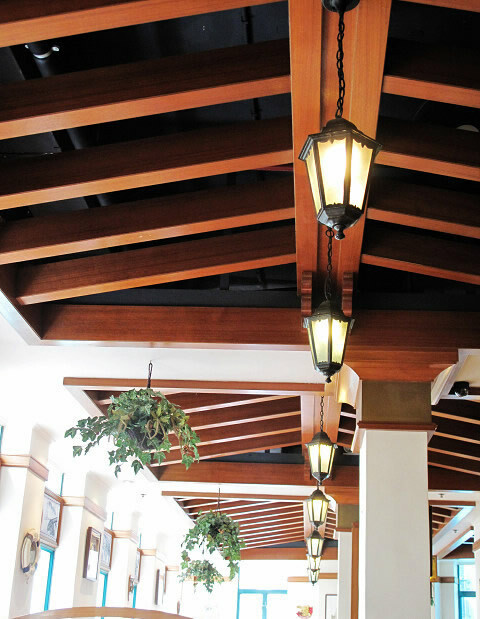 There is a a row of antique chandeliers on the ceiling, so people's attention could not help extended forward. 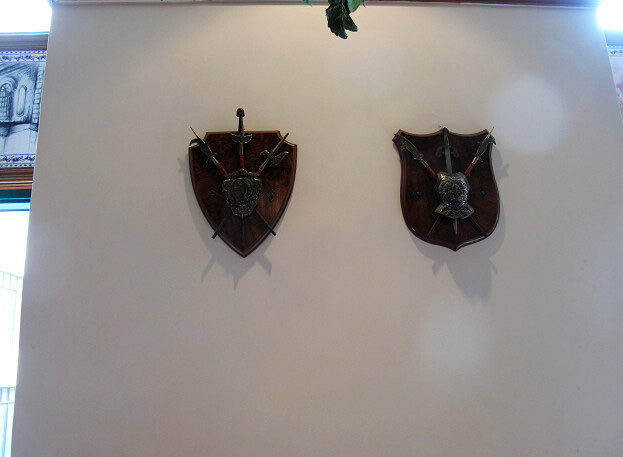 When we went to the restaurant, it was just open, and there was no guest yet. 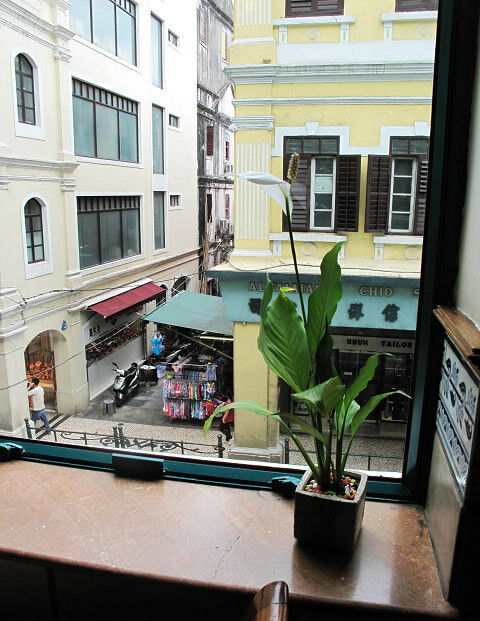 Compared with the bustling road and Senado Square Plaza outside of the window, it is really a quiet and elegant place. 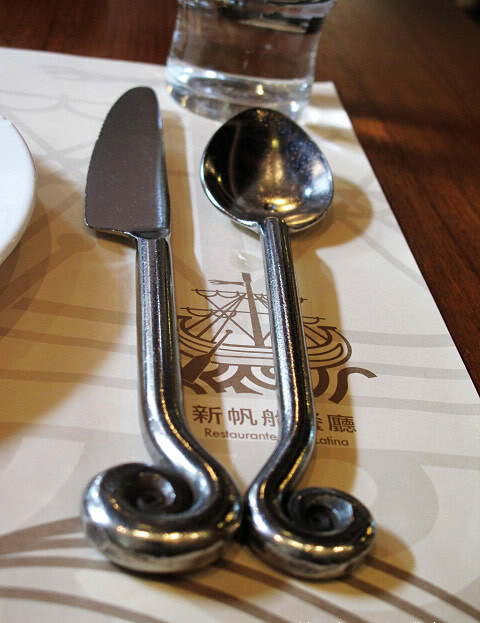 Cutlery on the table is also quite personality. 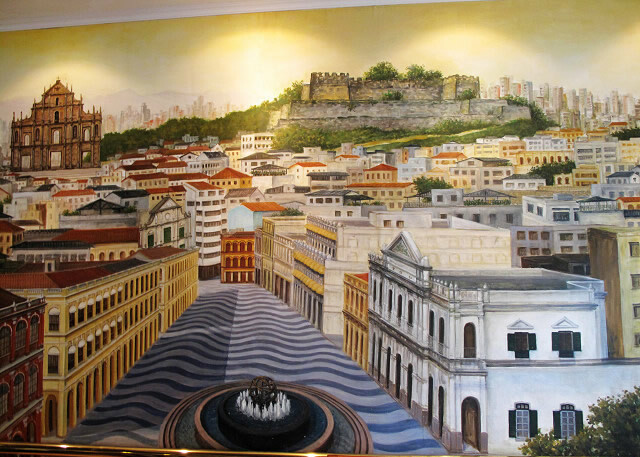 We are backed by the wall hang with a huge Senado Square Plaza landscapes painting, and began to enjoy the Portuguese cuisine we had coveted for a long time. 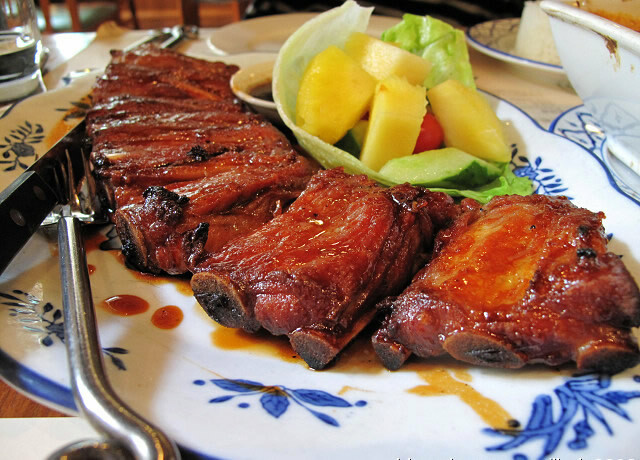 We ordered the first dish: characteristics of Portugal braised pork ribs, AUD 158. 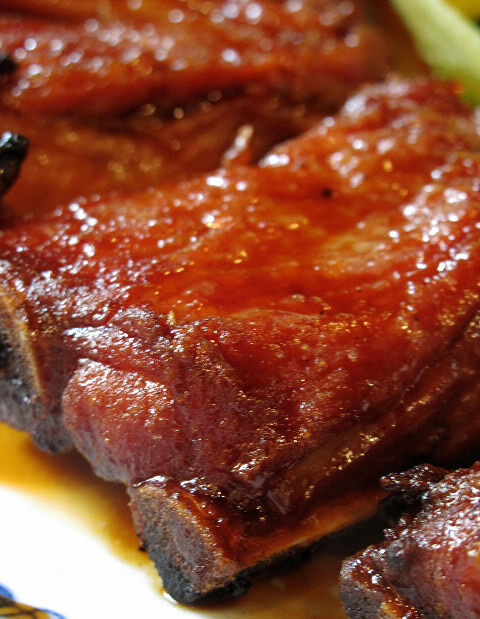 The specialty of this dish is the chef carefully selected pork ribs, which are too fat and evenly, burned and poured with the slightly sweet thick sauce, the taste is extremely delicious. 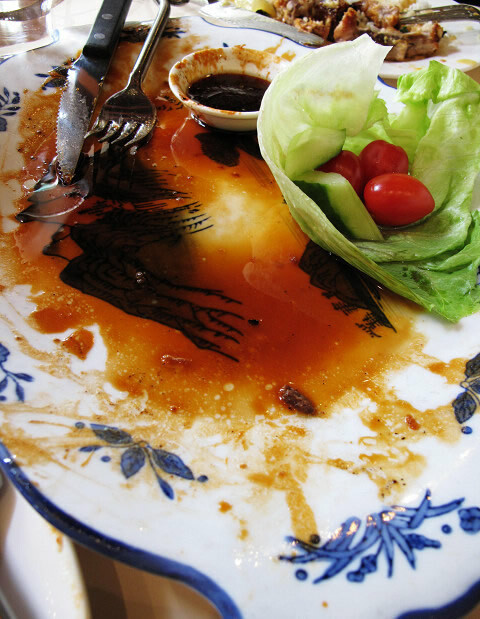 This dish, accompanied by a crisp salad, and the taste complement each other, absolutely good. 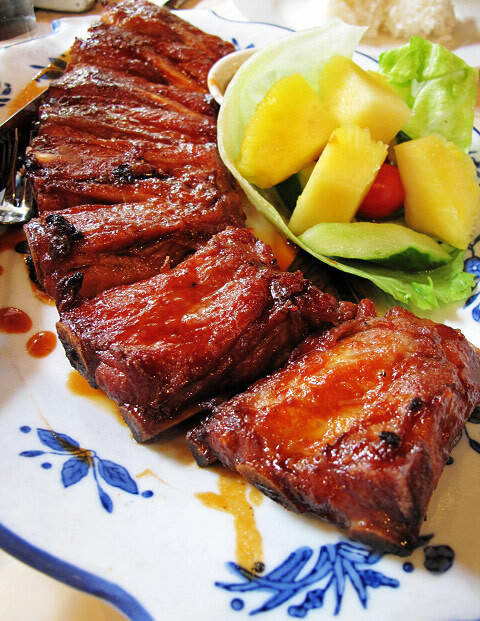 Such two large plates of pork ribs were eaten up by two girls, so you can image how delicious it is! 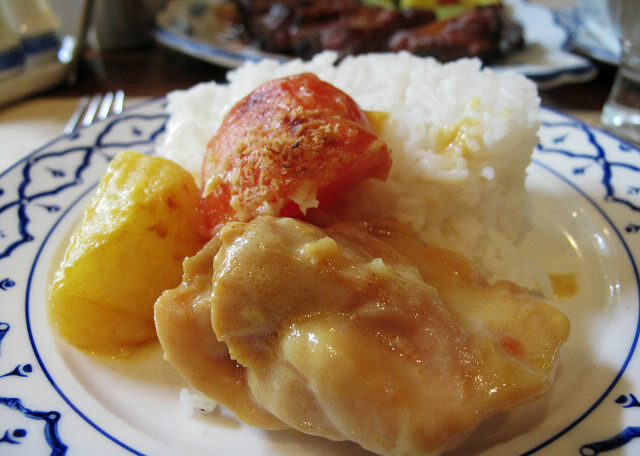 Next to the second dish: secret coconut baked Portuguese chicken, AUD 148. 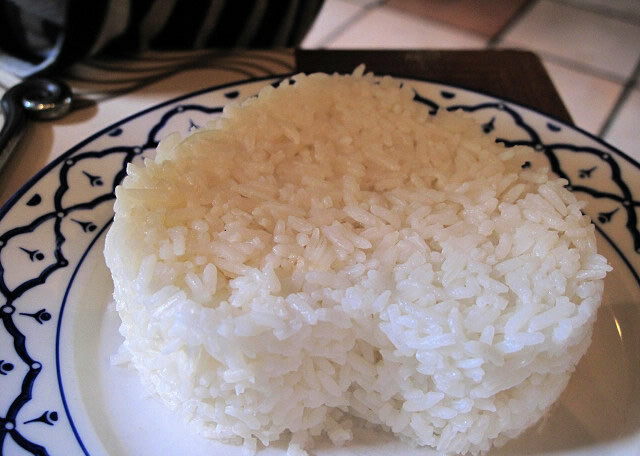 The cooking methods and ingredients of this dish in Portuguese, but materials are used in Macau local, while practices and ingredients also retain the characteristics of food culture of Portugal. 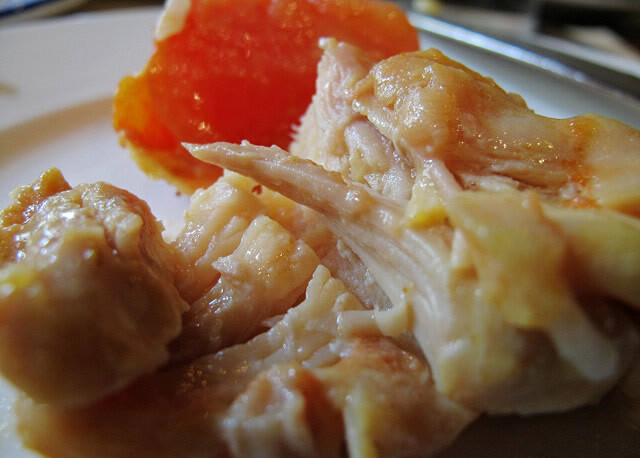 This dish is extremely tender. 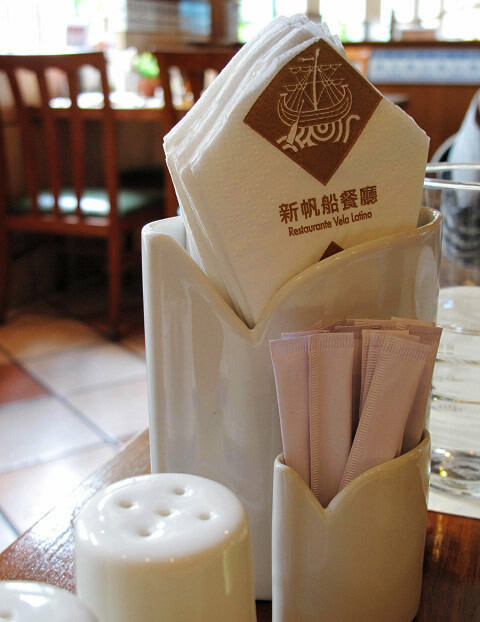 The dish has a touch of fresh spicy, very tasty. 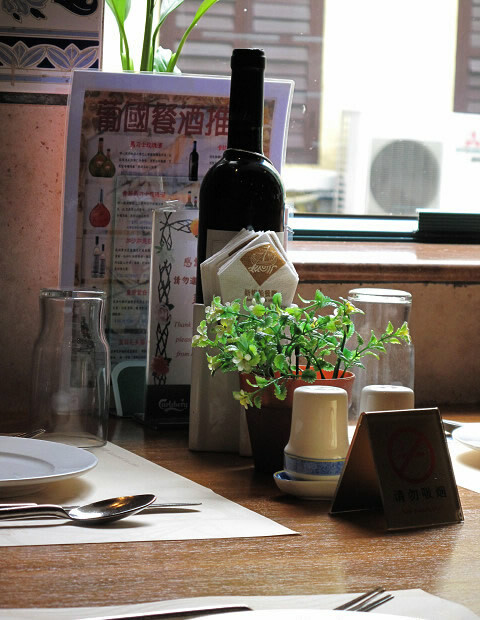 After eating up these two dishes, we were full, too much! 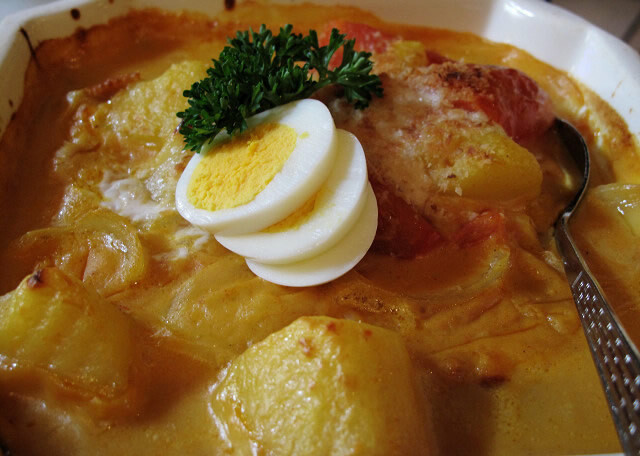 So if you come to Macau, the distinctive Portuguese dish is definitely worth a try!